I read this article and found it very interesting, thought it might be something for you. The article is called ‘We Will Not Accept Any Decision That Undermines The State’s Fiscal Domain’ and is located at https://archive.indiaspend.com/cover-story/we-will-not-accept-any-decision-that-undermines-the-states-fiscal-domain-23370. Mumbai: The finance commission is a constitutional body created every five years to decide on Centre-state financial relations. The latest panel constituted for 2020-2025 was asked to use the 2011 population census for deciding every state’s share of the central taxes. This may mean that states with higher populations will receive more central funds. The decision quickly turned into a political controversy because it meant that India’s southern states–Tamil Nadu, Karnataka, Andhra Pradesh, and Kerala–would see a fall in their share of central taxes. In these states, progressive health and education measures ensured the population fell four percentage points to 21% of the national population in 2011 from 25% in 1971. In comparison, the population of north Indian states–Uttar Pradesh, Bihar, Rajasthan and Madhya Pradesh–rose from 33% of the total population in India in 1971 to 37% in 2011, IndiaSpend reported on April 30, 2018. The decadal growth in Kerala’s population between 2001-11 has been 4.8%, much below the national average of 17.6% over the same period. Kerala’s Communist Party of India (Marxist)-led Left Development Front government has been among those state governments including West Bengal, Andhra Pradesh, Delhi, Punjab, and Puducherry to oppose the commission’s decision. T M Thomas Isaac, 66, minister for finance and coir in Kerala, and a central committee member of the CPI(M) has been campaigning against the decision ever since it was announced. He believes its implementation would lead to financial disruption in the states. He also warned of a political fallout. A day of involved dialogue with XV F.C. Our quarrel was not with the commission but with the TOR. The campaign against the TOR will continue. But the impression that I carry from the day is that the Commission will take an independent stand on some of the issues we raised. Memorandum submitted to the President argues that many of the clauses of TOR of 15th F.C. are unconstitutional or in contravention to well settled traditions of our fiscal federalism. Yet, some others are simply technically wrong.Sought Presidential intervention to amend TOR. In February 2018, Isaac advanced the state’s budget announcement to ensure sufficient time for the administration to implement plans from the beginning of the financial year. He is a four-time member of legislative assembly, an economist and a Kerala Sahithya Academy award winner for his book, Keralam: Mannum Manushyanum (2010), about social changes in Kerala and how these were influenced by international and local developments. 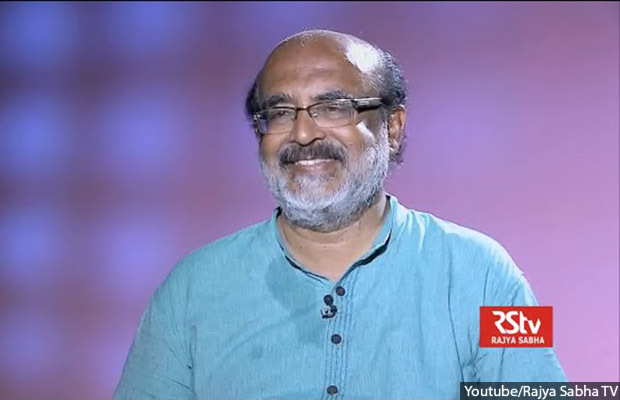 In an interview with IndiaSpend, Isaac discusses concerns about the details of the finance commission, his government’s plan to introduce a healthcare plan financed by profits from the state lottery, and a budget analysis for the elderly in Kerala. Since the introduction of the e-way (electronic way) bill [made compulsory for the movement all interstate goods], our checkposts have not been functional, leading to leakage of interstate trade. This has badly affected Kerala’s revenue where nearly 80% of commodities are brought in from outside the state. The return form [to file GST returns] is yet to be finalised. The 3B form [filed by everyone registered under GST] is only a summary statement of the voluntary declaration by the merchant. There is no way that we can check the veracity of input credit as some of the data is not available. Further, in order to scrutinise data, we do not want the annual return [of GST] to be postponed any further. All of this is affecting the collection of GST. The benefits that we were expecting in terms of revenue are yet to come. Taxes have reduced sharply, but this is not reflected in the prices. To my knowledge very few commodities have seen a reduction in prices. It was a gain for corporates, while ordinary people did not benefit as much. The small-scale sector was hit partly because their excise exemption had to be given up. Many policy makers at the Centre seem to be obsessed with the country’s [credit] ratings. To improve the ratings, they want the fiscal deficit ratio to be reduced so that there is fund flow from outside. I believe that the state governments play an important role in development, especially in welfare and social and economic infrastructure. So, they [Centre] are taking the easy route by asking us to reduce the deficit. It is preposterous. We can’t accept that this must done for the benefit of some foreign power. This cannot be done by using the FRBM Act to bring down the fiscal deficit ratio. Since 2008, the Centre has a real deficit of around 4%. Even if you consider it to be 3.5%, it camouflages the figure. For example, the states deserve half of the estimated Rs 150,000 crore in the integrated GST. But they [Centre] have put it in their kitty to claim a lower fiscal deficit ratio. If they want to reign in states, why have state governments? We are not against the finance commission. All we are demanding is that the it be allowed to perform its constitutional duty. The Centre must not micro-manage it or the details by adding [clauses] that tax devolution must be curtailed, borrowing power must be made conditional, etc. These are not aspects to be put here. Presently, Kerala receives 2.5% of the central tax revenue. Kerala would receive less than 2% of the share if it is assumed that the 2011 population census is used with the same criteria as the 14th finance commission. If there is mechanical acceptance of the details of the commission, there is a danger of [financial] disruption at the state level. We want to avoid it. I want to make it clear that we will not accept any decision to undermine the state’s fiscal domain. We’ve already undergone this due to the GST, now we can’t have the finance commission cause further disruptions. But if anything of the nature happens, I am certain there will be a serious political fallout. We are keenly watching the situation. We have demanded of the President that the details be changed. After our discussions with the finance commission, I am positive about the changes. Till then we will continue our campaign. Some of the states are [performing] much above the national average. But these achievements have raised many second-generation problems which require expenditure intervention by the government. For example, due to universal education everyone aspires to receive quality education which demands huge state resources. We are seeing an increase in lifestyle diseases which require investments in speciality care. At 13%, Kerala has the highest proportion of people above 60. Despite its strong focus on health, Kerala has only spent 14% of the Rs 24.16 crore released by the national programme for the healthcare of the elderly under the non-communicable diseases flexible pool between 2015 and 2017 (as of December 2017). Considering that nearly 79% of elderly women and 21% of elderly men live alone in Kerala, what did you mean when you stated, during the budget this year, that “budget analysis for old age people will be started next year”? Although India continues to lead in receiving remittances in the world, inflows have declined by nearly 8.9%, according to a World Bank report. Remittances contributed to 36% of Kerala’s net state domestic product in 2014, down by 11% between 2014-16. With countries like Saudi Arabia, where nearly 23% of Kerala migrants work, encouraging nitaqat (system to encourage the employment of Saudi nationals in the private sector), how will your government tackle the return of workers and the resulting revenue strain?